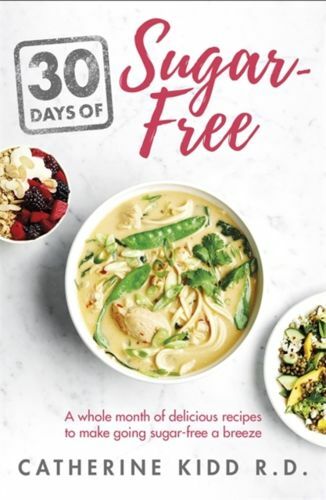 ***The easy, family-friendly and money-saving plan to make your first 30 sugar-free days a breeze. ***- Do you want to give sugar-free a go but don't know how to begin? - Maybe you've bought a cookbook to inspire you, but there are just so many recipes to choose from that you don't know how to start?- Maybe you DO start but only manage it for a dinner here, a breakfast there (on the days you remember to check the ingredients list before you head to the supermarket) - before you ultimately give up?If that sounds familiar, then this book is for you!This book is designed to make going sugar-free as easy as possible, providing 100 delicious and family-friendly recipes for quick breakfasts, satisfying lunches and hearty dinners, plus snack choices for one month. At the beginning of each week's worth of recipes you'll find a handy meal menu and shopping list of the ingredients you'll need for the seven days ahead, with the recipes tailored around using all these ingredients up - cheaper for you AND mindful of the planet. Written by award-winning and registered dietician Catherine Kidd, you can also rest assured that the recipes are not only delicious but balanced for all your needs. Going sugar-free has never been so easy!